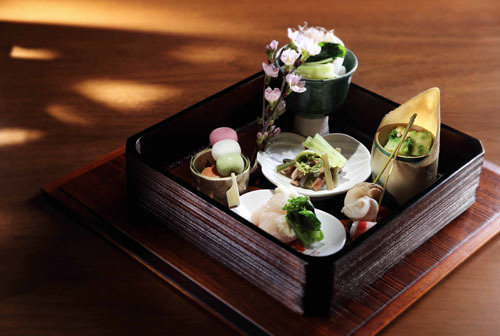 Cooked distinctly according to the season’s best harvest; Kaiseki is one of the most high end form of cuisine from Japan. Always made with the freshest ingredients and presented with matching tablewares which reflects nature; a Kaiseki meal is ever changing like the weather at different times of the year. To ensure the best experience; Chef de Cuisine Yukio Takeda from Kaetsu is presenting a distinct spring menu consisting of 7 courses which are made with ingredients only found in particular regions of Japan. 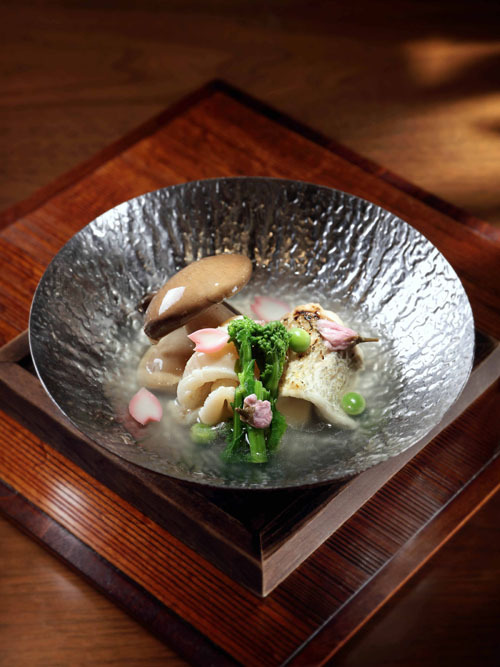 With rare seasonal items like Kagoshima bamboo shoots and Shizuoka’s bracken fern; this HKD $1,600 plus 10% service charge per person haute cuisine menu will be served at Kaetsu, Grand Hyatt only during the month of April 2014 for lunch and dinner.